Instant, Secure, and Simple Bill Payments by Check, Credit Card, and Debit Card. We take the hassle out of bill payments. All you need is your account number and preferred payment method and we make sure your payment gets to your biller on time. 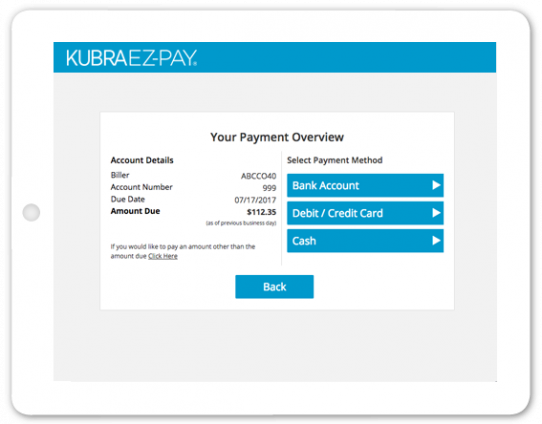 KUBRA EZ-PAY account is the best path to quick, on-time bill payments. Try it for free and gain access to a suite of useful features. 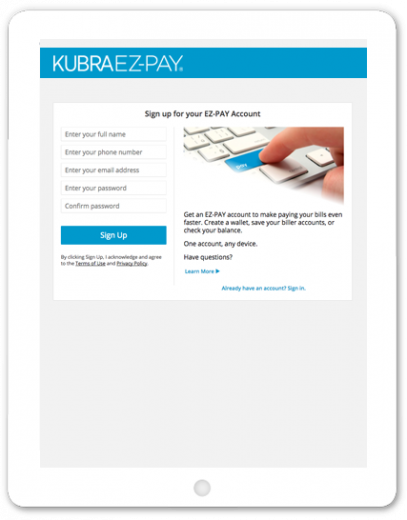 Speed up your next payment and sign up today!